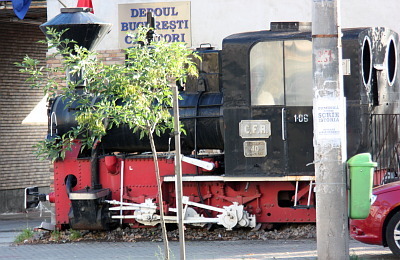 There is a little project (probably not hard to guess what it is about) where my own research was not enough, so I see no option than asking in the open: I need to take a photo of a steam engine (locomotiva cu abur), so does know about one in Bucharest? The condition for it is to look decent and for me to be allowed to take a photo. There may be another one ar the CFR Museum (Muzeul CFR), but usually you are not allowed to take photos inside a museum. I also have a "plan B" if I can't find one, but I am not sure my contingency plan is good enough (it involves an over the top metaphor and massive GIMP surgery). 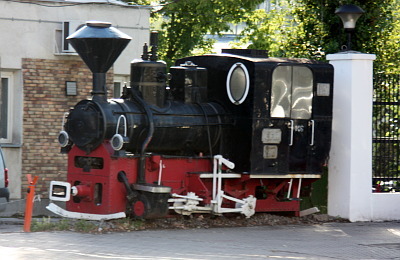 I have some pictures of the GeorgeTown Loop Railroad in Colorado, US that am willing to send you. Drop me an email and I will send them back. Not sure if that's exactly what you're looking for or not. thank you everybody, I will go with a photo Kevin sent me privately.